CG PPHT 2019 Admit Card is releasing on 26th April 2019. It will be organized by CPEB authority every year. Through this entrance test, candidates will get admission in B.Pharmacy and D.Pharmacy courses. It is a state level entrance exam. After clearing the CG PPHT entrance test, candidates will be able to get admission in private and government institutes at Chhattisgarh state. Through this article, candidates will get complete information regarding CG PPHT 2019. 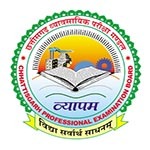 CG PPHT 2019 Admit Card is releasing on 26th April 2019. Check here for admit card details. CG PPHT 2019 Exam Date has been released. The examination will be conducted on 2nd May 2019. Check other dates from below. The CG PPHT 2019 admit card can be downloaded through online mode. Candidate can download their admit card by entering their registration Id. The admit card is expected to be released from 26th April 2019. The details present in the admit card will be candidate’s name, roll number, exam time & date, test center address, etc. Exam Mode: The CG PPHT 2019 exam will be conducted in offline mode. Number & Type of Questions: Candidates will be asked total 150 multiple choice questions. Total Marks: The exam paper will be of total 150 marks. Marking Scheme: For each correct response, 1 mark will be awarded and there will be no negative marking for wrong responses. Time Duration: Candidates will be given total of 180 minutes to complete the paper. General and Physical Chemistry – Structure of Atom, Thermochemistry and Thermodynamics, Solid State, Nuclear Chemistry, Chemical Equilibrium, Chemical Bond, Solutions, Chemical Kinetics, Surface chemistry, Electrochemistry, Colloids and catalysts. Basic concepts of Physics like Motions, Velocity, Work, Energy, Power etc, Gravitation, Kinetics, Heat and related theories, Volume and pressure, Optics, Human Eye, Magnetism, Electricity and Current, Atomic theory, Electromagnetic Induction. Inorganic chemistry – Comparative study of elements, Chemical Periodicity, Transition metals, Principles of Metallurgical operations,Co-ordination compounds, Chemical Analysis. Organic chemistry – Polymers Classification, Organic compounds and groups, Biomolecules, Alkynes and Benzenes, Ethers, Carboxylic Acids and Derivatives, Ketones, Aldehydes, Haloalkanes, Polyhalogen compounds. Algebra, trigonometry, Co-ordinate geometry of three dimensions, Co-ordinate geometry of two dimensions, Vector Algebra, Integral Calculus, Differential Calculus, Statistics, Numerical methods, Differential Equations, Linear programming. Zoology Structure and Function of Animal tissues, Endocrine System, History of Mammalian Organs, Taxonomy Evolution Economic Zoology Developmental biology and Genetics. Botany – Genetics, Cell and Cell structure, Viruses and Bacteria, Five Kingdom classification, Role of Plants in Human Welfare, Tissue and tissue systems, Enzymes, Ecosystem, Food preservation methods etc. Before starting the preparation, candidates must go through the exam pattern and syllabus of the exam. Candidates must regularly attempt various online and offline mock tests. Candidates can solve sample papers or previous year’s questions papers to know the past trends of the questions. Revision of the topics is also essential for the candidates. The CG PPHT 2019 result will be declared in the month of May 2019. Candidates can check their result through online mode. The results can be checked by entering the candidate’s roll number. A merit list will be prepared by the authority on the basis of candidate’s score in the qualifying exam and entrance test. CG PPHT 2019 counselling process is expected to start from the second week of June 2019. Those candidates those will be shortlisted in the merit list will be eligible to participate in the counselling rounds. Candidates must bring their original as well as photocopies of their necessary documents for verification. Candidates on qualifying the entrance test will successfully get admission in various Pharmacy institutions in Chhattisgarh state after verification of documents. Candidates will be able to know the complete details related to the application form in the brochure provided by the university. The CG PPHT application form has been released from 19th March 2019. The last date to submit the application form will be the 7th April 2019. Candidates have to upload their photograph, signature and thumb impression according to the prescribed specifications. After filling and submitting the details successfully, candidates must take the print out of the form for use in future. Age Limit: To apply for B.Pharm course, candidate’s age should not be more than 30 years as on July 1, 2019. Female and reserved category candidates will be provided age relaxation of 3 years. For D.Pharma programme, no maximum age is prescribed. Domicile: Candidates applying for Chhattisgarh quota seats must have Chhattisgarh state domicile. Qualifying Exam: Candidates must have passed their 12th level examination or its equivalent from a recognized board or university. Qualifying Subjects: Candidate must have qualified his 12th level exams with the compulsory subjects of Physics, Biology/Biotechnology/ Mathematics, Chemistry and English. Minimum Marks: Candidate must have obtained an aggregate of 45% marks (40% for reserved categories) in PCB/PCM. If you have any query regarding CG PPHT 2019, you can ask your query in the comments section below. I am from rajasthan state..
And Entrance exam will be conducting in how many city ?..